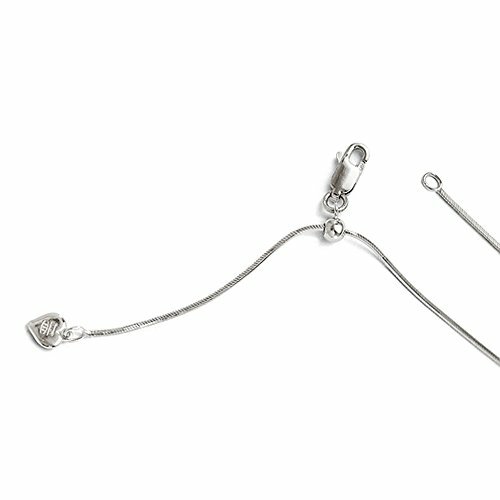 Crafted in Italy of 925 sterling silver. 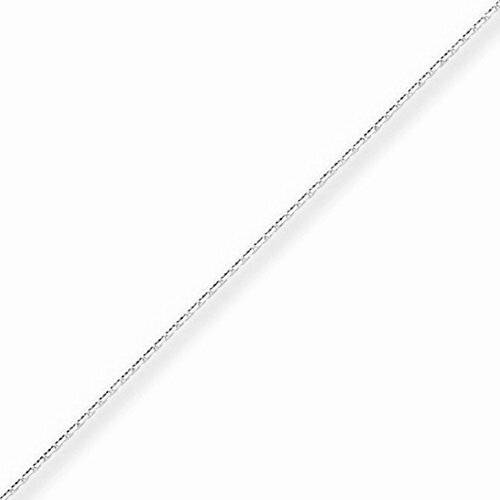 Pulling on thebead allows you to adjust the length of the chain to your liking-up to 22"
1mm 14k White Gold Diamond-Cut Square Snake Chain Necklace Extender and Safety Chain, 3"
Wonderfully useful safety chain and/or extender chain is 1.00 millimeter wide. This attaches to watches and bracelets to protect your jewelry from falling off your wrist. Or, simply attach the chain to your necklace and it will be extended by 3.00 inches. 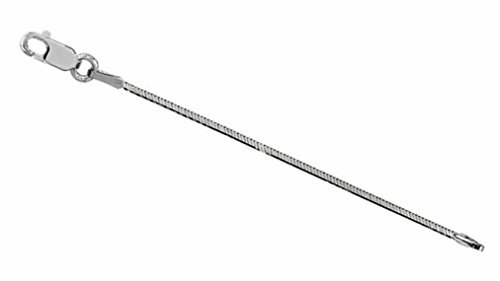 This allows you to have the length of chain you are looking for in a fast and easy manner. Now you don't have to give up on that gorgeous necklace or chain -- you can extend it to the length you desire; this wonderful extender chain gives you the flexibility to change your necklace length to complement the neckline of the day. This accessory is so accommodating, people often buy two at a time in order to wear their favorite watch or bracelet with their necklace or chain.The added flexibility it gives to your jewelry and the rising price of gold makes this, quite simply, a great investment all around.Made in the USA.FOOTNOTES: Image May Appear Larger than Actual Size, Allowing You to See Fine Details, Please Note the Actual Size in the Product Description and Key Product Features as You Cannot Judge the Size by the Image. Thank you.Made to Order Especially for You, Ships in Approx. 6 Business Days.Form and Function are Always Fashionable... Never Trendy. Thank You for Your Consideration, We Appreciate You. 1mm 14k White Gold Diamond-Cut Square Snake Chain Necklace Extender and Safety Chain, 2.25"
Wonderfully useful safety chain and/or extender chain is 1.00 millimeter wide. This attaches to watches and bracelets to protect your jewelry from falling off your wrist. Or, simply attach the chain to your necklace and it will be extended by 2.25 inches. 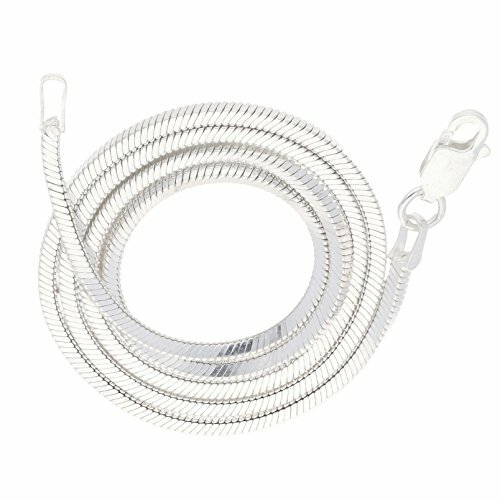 This allows you to have the length of chain you are looking for in a fast and easy manner. 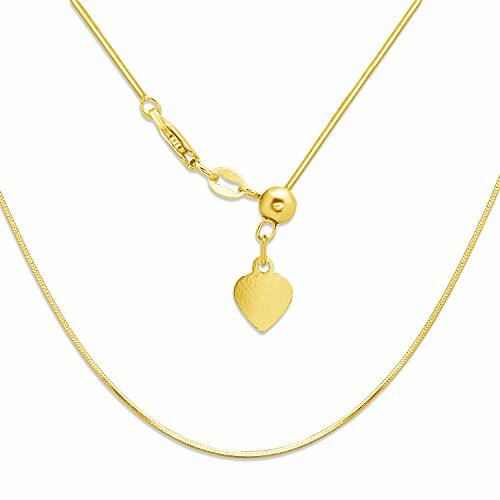 Now you don't have to give up on that gorgeous necklace or chain -- you can extend it to the length you desire; this wonderful extender chain gives you the flexibility to change your necklace length to complement the neckline of the day. This accessory is so accommodating, people often buy two at a time in order to wear their favorite watch or bracelet with their necklace or chain.The added flexibility it gives to your jewelry and the rising price of gold makes this, quite simply, a great investment all around.Made in the USA.FOOTNOTES: Image May Appear Larger than Actual Size, Allowing You to See Fine Details, Please Note the Actual Size in the Product Description and Key Product Features as You Cannot Judge the Size by the Image. Thank you.Made to Order Especially for You, Ships in Approx. 6 Business Days.Form and Function are Always Fashionable... Never Trendy. Thank You for Your Consideration, We Appreciate You. Authenticated with a 14K stamp. Includes a lobster clasp to uphold strength and comfort. 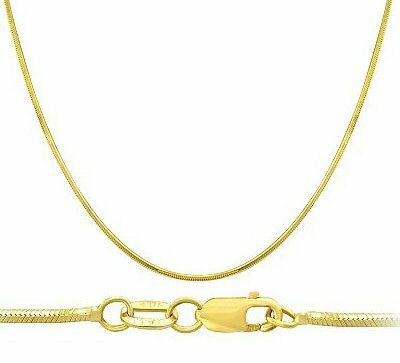 Snake Chain 14k Yellow Gold Necklace Solid Mens Womens 1 mm. 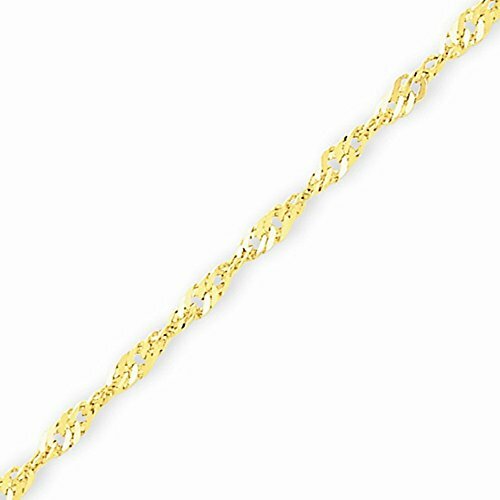 Snake Necklace 14k Yellow Gold 1 mm - 16,18,20 Inch. 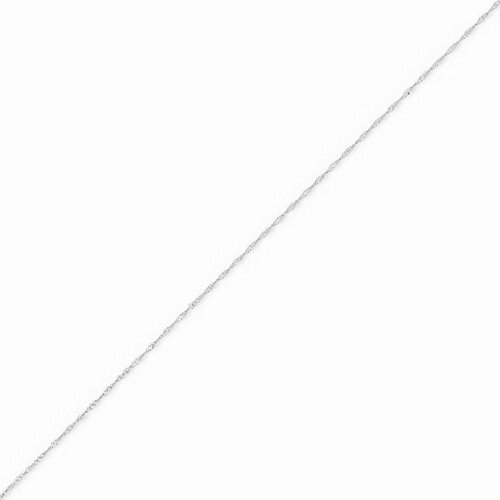 Copyright © Wholesalion.com 2019 - The Best Prices On Diamond Cut Square Snake Chain Online.